The Decatur Park District’s Special Recreation Association (SRA), in cooperation with the villages of Forsyth and Mt. 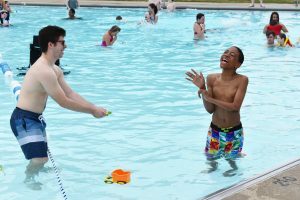 Zion, are dedicated to improving the quality of life for individuals with developmental disabilities by providing recreational programs in the greater Decatur area. Through advocacy, awareness and inclusion we promote a successful leisure lifestyle. Programs are designed specifically for those with developmental disabilities and are led by qualified, caring, experienced staff. Put on your game face! BINGO is held monthly with prizes for winners! BINGO night features seven games with drinks and snacks for your enjoyment. A night of music, dancing and snacks! Dances are held the first Wednesday of every month from 6 – 8 p.m. at the KC Hall. Enjoy a delicious lunch and great atmosphere with your friends at a Decatur area restaurant. Join your friends once a month on Tuesdays for a night at the movies. Transportation provided. Compete in the Special Olympics! 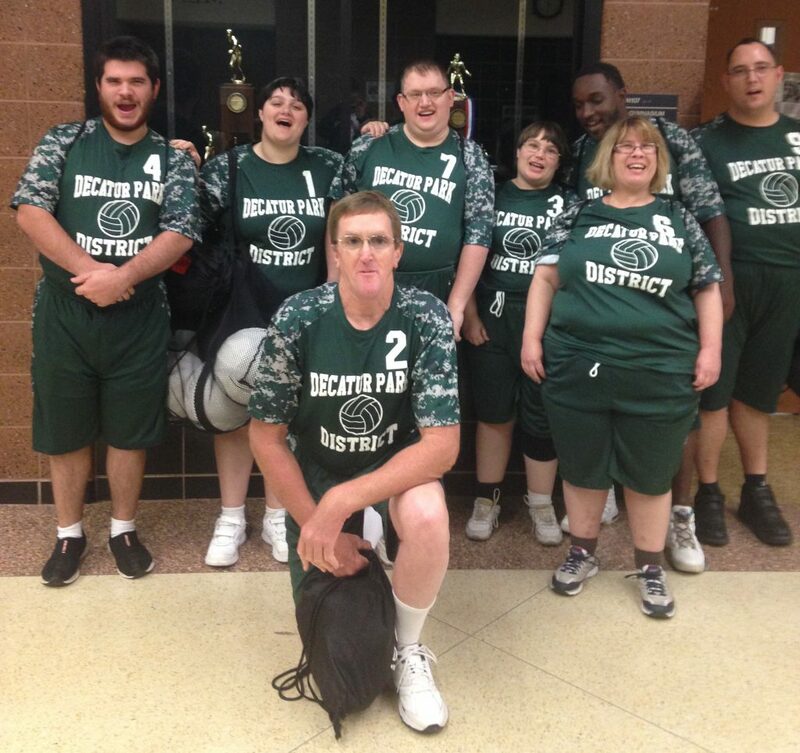 Through the Special Recreation Association, athletes participate in various sports which continue year round. Sports include basketball, bowling, track and field, snowshoeing, and volleyball. To participate, athletes must be at least 8 years old and have current medical application on file. For more information, call Dana Floyd at 429-7750. Special Recreation activities are included in a monthly calendar. Programs are designed specifically for those with developmental disabilities and are led by qualified, caring, experienced staff. To receive this mailing, please call Dana Floyd at 429-7750. Volunteers are always appreciated! Swim, create art and crafts, and visit the zoo! 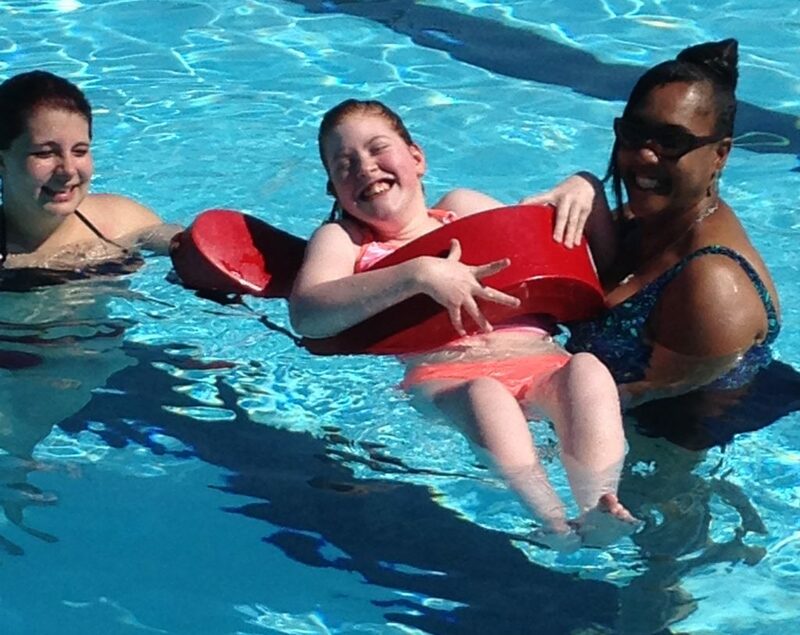 This popular summer camp is designed for special kids with special needs. Fun activities at Nelson Park, Scovill Zoo and more! Call Dana Floyd to inquire about next summer’s dates and activities. Camp F.I.R.E. (Fostering Independent Recreation Education) is for youth aged 15 – 21 who are enrolled in High School with an IEP. Participants in this extension of Camp I Can will learn Special Olympic sports, take field trips, learn how to become more independent, and have a great time! Call Dana Floyd for information. To ensure that the Park District complies with the Americans with Disabilities Act, in Spring 2012, we began a survey process conducted by Recreation Accessibility Consultants. 56 parks and facilities were reviewed, and results have been compiled in a 6-volume document that is available at the Administrative Office, 620 E. Riverside Ave. The cover letter from RAC President John McGovern and summary letter appear below. For more information, please contact Bill Clevenger at 422-5911.